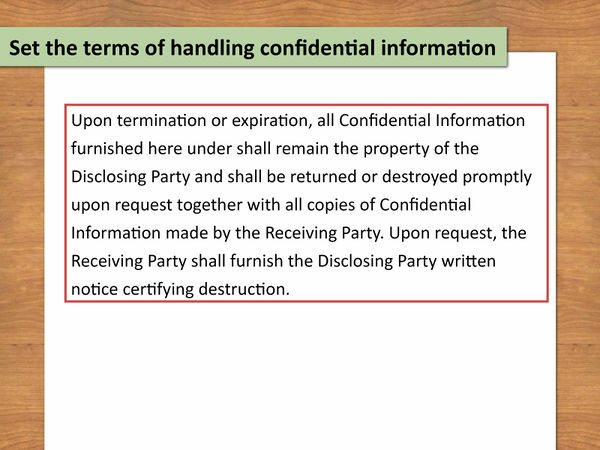 A non-disclosure agreement (NDA) is a common type of legal contract in which two parties agree to limit the use of any information they share. These agreements are also known as "confidentiality agreements," "proprietary information agreements," or "secrecy agreements." NDAs are generally used when the two parties feel it's to their mutual benefit to share certain information but want to restrict how that information is used or shared with third parties. 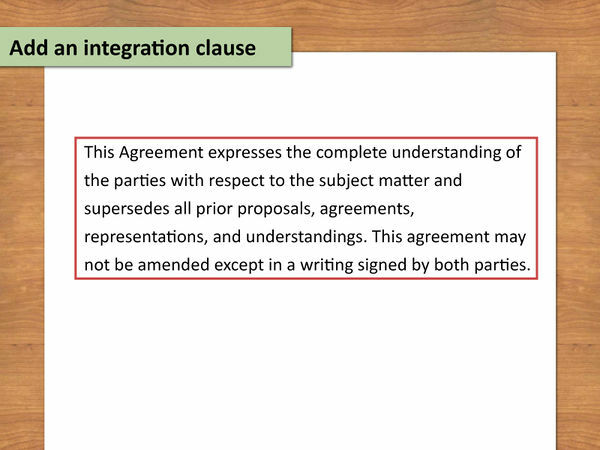 A non-disclosure agreement is most commonly signed when the parties are interested in entering into a business relationship. In general, NDAs are meant to protect the secrecy of technical or commercial information deemed valuable by one or both parties. The NDA restricts the usage of that confidential information. You should look over your business and identify information you believe qualifies as a trade secret, or that otherwise is confidential and which you wish not to disclose to anyone. NDAs may also be used to prevent forfeiture (or giving up without compensation) of patent rights. Losing patent rights can cost you money, but an NDA can prevent this from happening. Not all employees or independent contractors need access to proprietary information. For example, a cafeteria employee hired by an engineering firm would not need to sign an NDA. 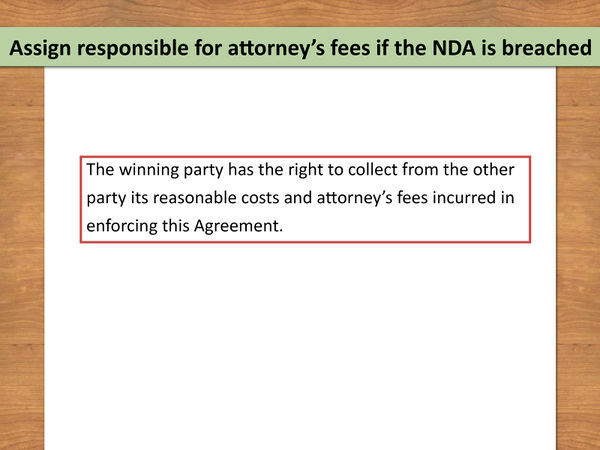 One mistake parties make is revealing confidential information during negotiations as to whether an NDA is even needed. Speak only generally that you have “trade secrets” or “proprietary information” that you want to protect. Do not reveal the substance of this confidential information. 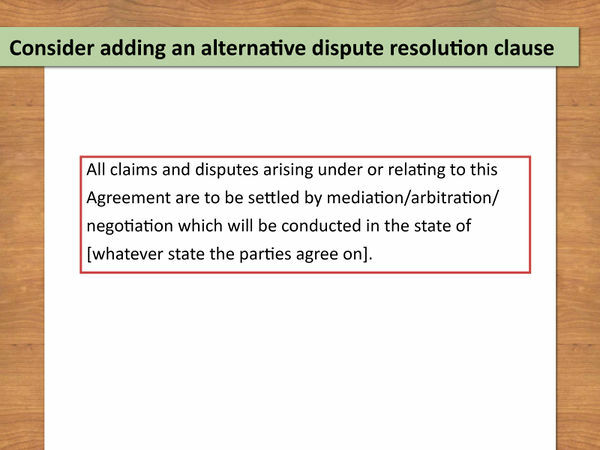 Negotiations over an NDA will often revolve around the length of the agreement or exclusions. 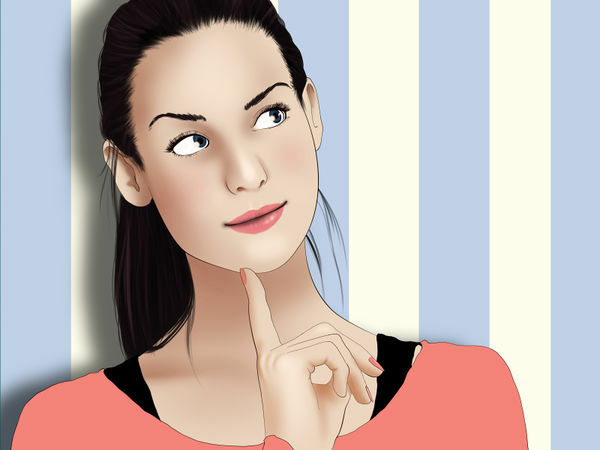 You do not need to reveal your confidential information to discuss these items. 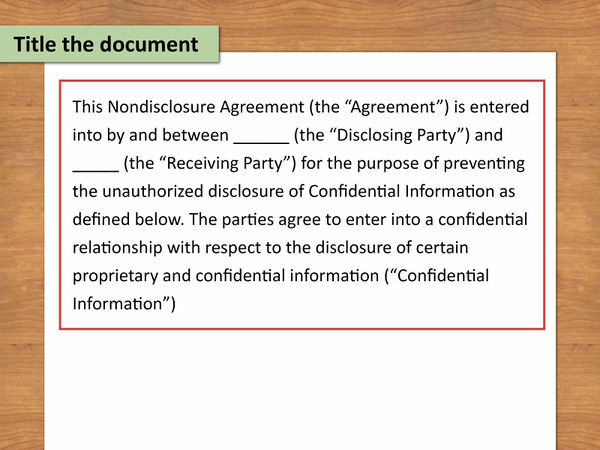 Title the document “Non-Disclosure Agreement” and then include a boilerplate introduction: “This Nondisclosure Agreement (the “Agreement”) is entered into by and between ______ (the “Disclosing Party”) and _____ (the “Receiving Party”) for the purpose of preventing the unauthorized disclosure of Confidential Information as defined below. 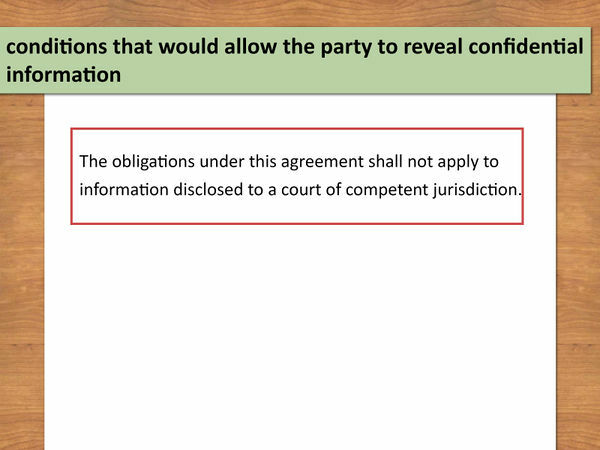 The parties agree to enter into a confidential relationship with respect to the disclosure of certain proprietary and confidential information (“Confidential Information”). 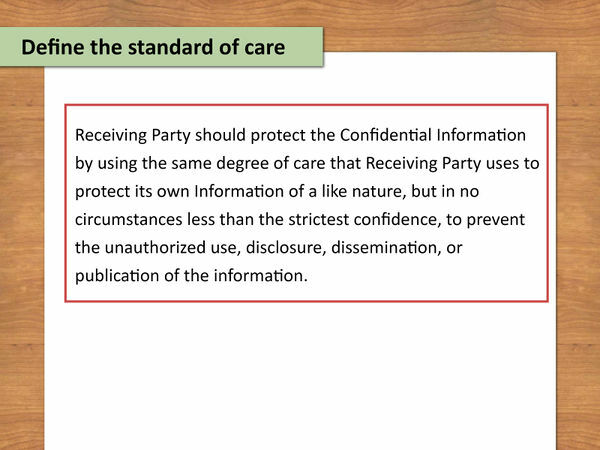 Make sure that the party signing the agreement has clear, acceptable standards for confidentiality by researching their policies and track record. When two businesses sign an NDA, it is typical for both parties involved in the NDA to treat any confidential information that they receive as if it is their own confidential information. 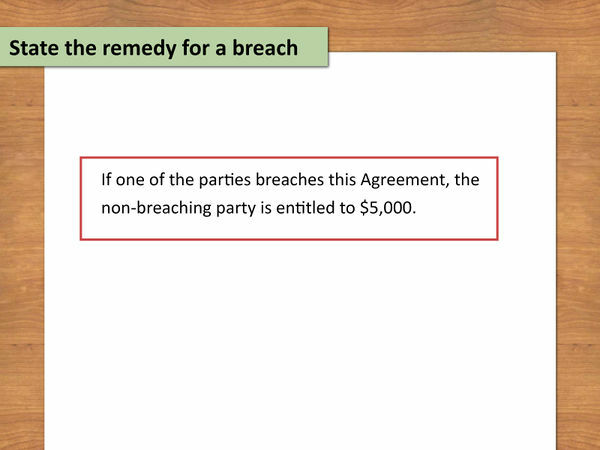 If the NDA is between an employer and employee, this would not apply because the employee would not be handing over any confidential information to the employer. You are not required to rely on the other party’s standard of care. In fact, some attorneys recommend using that standard only as a backstop. Instead, you should affirmatively define the standard of care itself. The NDA should clearly state the start and end date for the period of time in which the information may be exchanged between the parties. For example, you may wish to trade confidential information only at the start of the business collaboration. State the dates specifically. 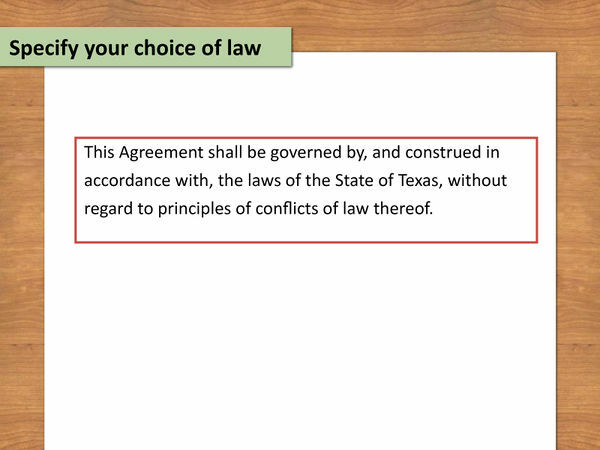 At the bottom of the page, leave room for the signature of all parties. The signature block should contain the names of the businesses (if applicable), a signature line for the business’s agent, a line for the agent to print her name, and then a line for the date. 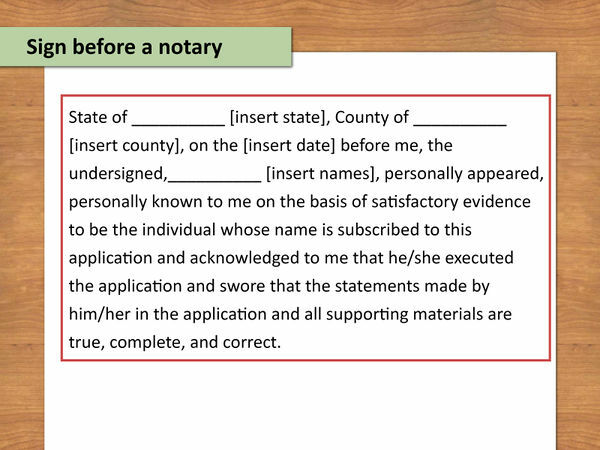 Include the information required for notarization: “State of [insert state], County of [insert county], on the [insert date] before me, the undersigned, [insert names], personally appeared, personally known to me on the basis of satisfactory evidence to be the individual whose name is subscribed to this application and acknowledged to me that he/she executed the application and swore that the statements made by him/her in the application and all supporting materials are true, complete, and correct.” Then include a line for the notary’s signature, another line for the Notary ID number, and a line for the notary’s license expiration date.